At the highest end of Tokyo’s luxury five-star hotels stands The Ritz-Carlton, an elegant property where the finest things in life are standard. Soaring over 45-floors above the city in the Tokyo’s Midtown complex, the hotel boasts spacious and luxurious rooms, Michelin-star dining, and an award-winning spa. Service here is beyond compare and you’ll be treated like royalty from the moment you arrive until you’re escorted on the way out. Simply put, it’s hard to find a better high-end option than the Ritz-Carlton. For families, inquire about Ritz Kids. The hotel sets up special scavenger hunts, painting classes, and will even place tents inside the rooms (suites only). Large rooms boast some of the best views in the whole city and sunrises and sunsets are on full display from giant windows. All rooms come with Nespresso coffee machines, free tea and water, and Bluetooth speakers for your own music playing desires. Club level rooms have loads of benefits – and if you’re already paying this much for a room, it’s worth going the extra mile. With the club, you’ll get a dedicated check in area, five meal services including afternoon tea and free cocktails, complimentary pressing of up to five items, and experiential events on Saturdays. Beautiful bathrooms are awash in marble, have separate showers and large soaking tubs, double sinks, Toto automated toilets, and come with Asprey luxury products. The lobby is a high-end hotelier’s dream with marble floors, large wooden columns, fresh daily flowers, and stunning crystal chandeliers. Many of the dining outlets can be found on this floor including the Lobby Lounge and Lobby Bar, where you’ll find live music on most nights. Open from 7 a.m. to 10 p.m., the 20-meter indoor lap pool is bathed in sultry light and has incredible views of the city from its 46th floor perch. The spa is the ultimate center for relaxation. There are nine treatment rooms specializing in unique massages, facials, wraps, and more. Inside the locker facilities are steam and sauna rooms and hot & cold onsen-style baths. YOU SHOULD KNOW While most of the fitness and spa area is free for guests, in order to use the onsen-style baths you have to pay 3,000 Yen. Open 24/7, the carpeted gym has Life Fitness machines, free weights, and big views of the city. If you left your workout gear at home, the hotel will rent you some for a small fee. Dining inside the Ritz-Carlton is a special treat in and of itself. 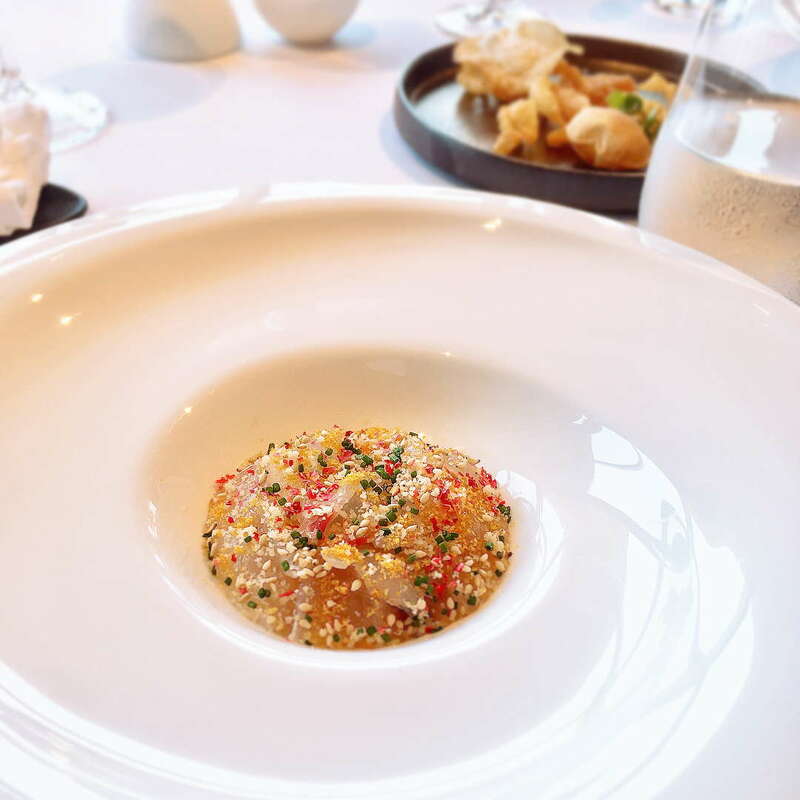 Azure 45 has one Michelin star and delves deeply into innovative French cuisine. Towers is a contemporary steakhouse serving perfect strips of steak. Japanese restaurant Hinokizaka is a sensory overload spot for lovers of all styles of Japanese cuisine. Inside Hinokizaka, there is a 200-year-old house that was transported here and now acts as a private dining spot for traditional Japanese meals. The Instagram-worthy lobby bar has more than 200 whiskey bottles and guests can store their own in lockers here as well. With the city as the bar’s backdrop, guests come to drink, smoke, and chill out to live music on a nightly basis. The bar has a Diamond is Forever Martini. For ‘only’ 2,000,000 Yen, you’ll get an Absolute Elyx Vodka with lime juice, served with an actual one carat diamond, while the live band plays the song “Diamonds are Forever.” We’re not making this up. The Ritz-Carlton is in a great area of town. Part of Tokyo Midtown, you’ll find shops, restaurants, bars, and attractions right on site. 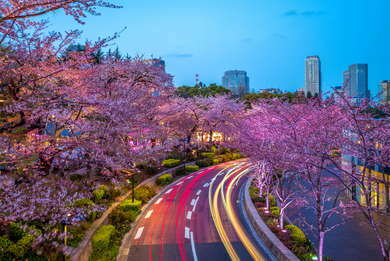 Within walking distance you can also get to the great nightlife areas of Roppongi and Akasaka. Tokyo Midtown is also connected to the subway which will make your life easy when getting around the busy city. If you love teppanyaki, head over to the Grand Hyatt Roppongi. Inside, you’ll find Keyakizaka (12-minute walk) where they grow their own cattle for a specialized wagyu experience. 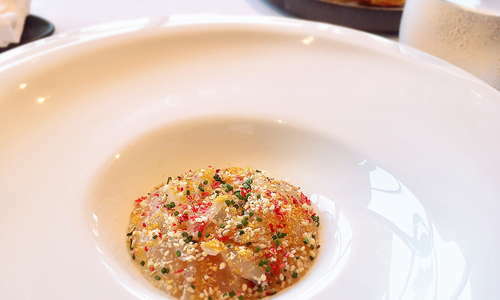 At the same site, inside Roppongi Hills, is L’Atelier de Joël Robuchon (12-minute walk) a two-Michelin star French restaurant that goes above and beyond its reputation. After eating inside the Grand Hyatt, head over to Maduro (12-minute walk) a live jazz spot with rare whiskey and cigars. If you’re a fan of the Beatles, check out Abbey Road (10-minute walk) a live music venue with tribute bands to the famous foursome. The epitome of class and style, The Ritz-Carlton goes out of its way to provide its guests with the best of all things. The service here will blow you away as the staff is trained to make you feel like royalty. The restaurants will also blow you away with award-winning cuisine and hundreds of years of history. Make it a point of hitting up the spa as the treatments are original and enlightening. Nothing short of perfection, The Ritz-Carlton is a five-star treat – just know you’ll pay a lot for all the privileges.